Who Is the Best Internet Service Provider for Small Business? 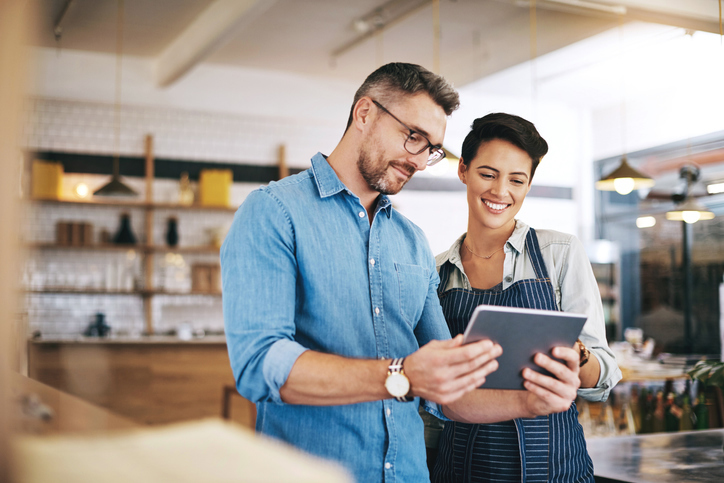 Most small businesses today depend on a fast, reliable Internet connection to manage and operate their business. With the increasing use of cloud-based tools and apps, to get things done, it’s essential that your internet service provider is up to the task of supporting them – when you need them. Luckily, Cox Business is ready with great connection speeds and the features you need to make sure you stay well ahead of the competition. Here are 10 more reasons why Cox Business is the best internet service provider for your small business. • A history of fast reliable Internet service from a company with a solid track record of supporting business clients across multiple verticals and niches. • The fastest bandwidth speeds using our hybrid fiber coax (HFC) network. Cox Business offers speeds of up to 1000 Mbps for your business. That means you have a connection that’s ready to grow with you, with a scalable connection to match your needs as your business grows and changes. A connection comes with an Internet Gateway, which is fully integrated with Cox Business Internet and is equipped for gigabit speeds, so you won’t need to contact another vendor for firmware management or software upgrades. It has basic LAN integration, which enables your wired devices to communicate with your WiFi devices. It also enables you to connect wired devices like phones, cameras, or printers. The Internet Gateway has advanced security measures, including SPI Firewalls, Port Filtering, URL Blocking, and Breach Reports, which give you a reliable barrier between your network and the open Internet. With fast WiFi speeds to help increase employee productivity and stand out to customers, this device is a great addition to your business. The Cox Internet Gateway includes an option to broadcast Cox WiFi, which means that you can be listed in the Cox WiFi Hotspot Directory. This “pay it forward” opportunity can also drive foot traffic to your business, which puts you in the perfect position to capitalize and make a sale. Furthermore, as a Cox Business subscriber, you can use the Cox WiFi Hotspot Directory to find a place to work no matter where you are. Another great reason why Cox Business is the best Internet service provider for your small business. In the hectic world of running a small business, it’s hard to make data and security a top priority. That’s why Cox Business bundles a security suite and online backup with most Internet plans. This integrated solution means you don’t have to keep track of software and hardware renewals. Security and online backup support offload the work of checking individual computers for their current level of protection, freeing up your tech resources to provide more forward-thinking solutions for your business. If you have an internet connection, you can manage the Cox Security Suite and Online Backup tool yourself. View multiple accounts, user history, and backup statistics—whatever you need to do. As your business grows, you can purchase additional security licenses and backup space so that your data is always safe and secure. Powered with Mozy by EMC, Online Backup gives you online tools and easy-to-use settings. Schedule your backups to run monthly, weekly, daily or even more frequently. No matter what happens, you have 24/7 access to the Cox Business Data Center to get up and running as quickly as possible. With security powered by McAfee, you know you have what you need to protect your devices from any threat with automatic patches that keep you up to date. If you use your computer as a server or run one or more web, email, FTP or DNS servers, then you need a static IP address. One address is included in most business internet packages, and you can add more as your needs evolve. Cox Business Internet supports a growing business whether it’s multiple locations or a single location with growing needs and demands. Cox Business helps your business to strike the right balance between network architecture and the connection speed needed to support your user’s needs now, and in the future. Often, a growing small business doesn’t have the time or expertise to handle growing IT needs. Managed IT services give your business the resources and expertise of a large company’s IT department for a price your small business can afford. Whether you’re looking to boost office productivity, secure your network or provide WiFi for guests and vendors, Cox Business Managed WiFi offers customizable network solutions to meet the needs of your business. Cox Business understands all businesses are not the same. They have the expertise to understand the specific needs of your small business and create a solution that meets your requirements. If you need help as soon as possible, Cox Business is available 24/7, 365 days a year to help you with anything from security to bandwidth. The experts at Cox know the importance of ensuring you’re able to get things done no matter what. Choosing an internet service provider can make or break your business, and Cox Business is there to provide the best service possible for you. With top-notch speed, security, and support, they’ll make sure that you have a reliable internet connection that helps keep your business running no matter what.